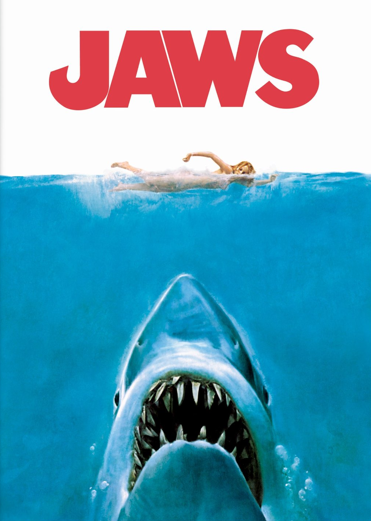 An enormous great white shark starts eating the residents of a Northeastern vacation town, much to the denial of the town’s local jurisdiction. The town needs tourists to survive financially through the year. So, much to the chagrin of police chief Brody, the beaches stay open. As the body count rises, Chief Brody convinces the town to hire the salty fisherman Quint to hunt down the shark and kill it. With the help of shark expert Matt Hooper, they set out into the ocean in pursuit of the shark. What I “learned”: The 1970s were a bad time for movies trying to be serious. This movie is so bright and friendly, it absolutely stink at being a thriller. It had the same color scheme as Smokey and the Bandit (which I personally love). This is why summer camp horror movies only happen at night. Bright does not equal scary. Also, I don’t think biologists have changed fashion-wise since 1975. I know real-life scientists who would wear Richard Dreyfuss’s denim suit. His Hooper is the inspiration for biologists past and present. See this movie if you like: Richard Dreyfuss being the greatest Jewish college student stereotype ever. I kid, I tease… Really though, the interactions between the male leads are so much fun to watch. They’re all interesting men, and their interactions are fun because of what each of them represent. Dreyfuss’s Hooper is the new school of exploration, using technology and aiming for minimal harm to animals. Robert Shaw’s Quint is the old school, rough and tumble and seeing the ocean as both enemy and equal. Roy Schneider’s Chief Brody is in the middle, just trying to do right by humans. Their relationship is the heart of this film. Avoid this movie if: You want something scary. Jaws is not scary, no matter what you’ve been told. It is not a thriller. It is an adventure story, wherein sh*t goes down and people have to go out and fix it. Also, and I want to say this to everyone who hasn’t seen the movie yet, do yourself a favor and read the book second. They are completely different works, and highlight very different aspects of this story. The book makes the plight of the townspeople very real, and helps the reader to see why they would be so adamant to close the beaches. They’re humanized in a way that the film isn’t able to do. However, the book is deliberately vague about the backstory of Quint. It portrays him as a dark and mysterious hunter, as opposed to a more comic hunter. The darkness of the story is much more palpable in the book. You can imagine it playing out as a thriller. Do yourself a favor, and don’t do what I did. Watch before reading!